On Saturday October 8th during Columbus Day Open House weekend, the Growstown School was recognized by the Brunswick Rotary Club as an Historic Site. On Saturday October 8 th during Columbus Day Open House weekend, the Growstown School was recognized by the Brunswick Rotary Club as an Historic Site. 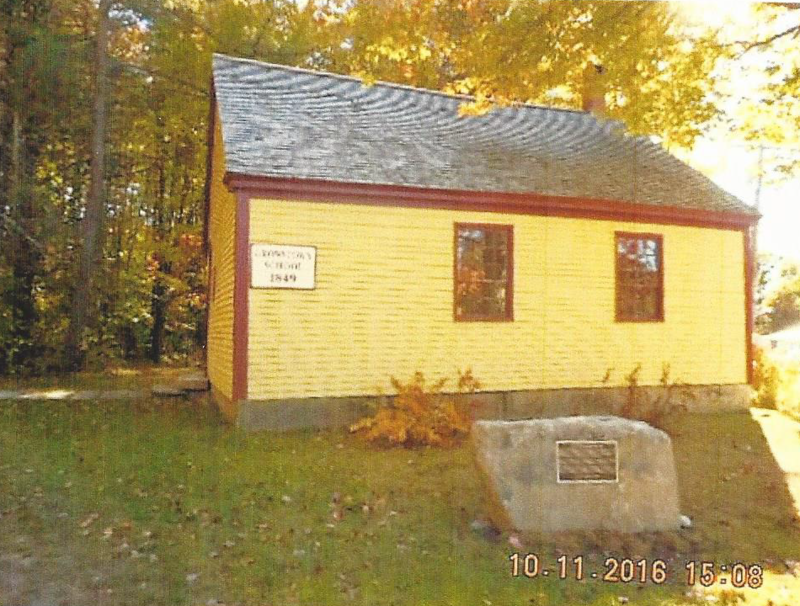 Located at the intersection of Woodside Road and Church Road, a bronze plaque was unveiled identifying the only remaining one room schoolhouse of the original 26 in Brunswick. Built in 1849, the school was saved from destruction by the Growstown neighborhood in 1971. Incremental restoration was accomplished then, in 1983 by the American Association of University Women, and recently by the Brunswick Public Works Department. President Dr. David Taft and Rotarian Chuck Mull unveiled the bronze plaque before about 40 anxious witnesses, including Linda Clement of the AAUW and Chairwoman Cathy Leonard of the GTS committee. 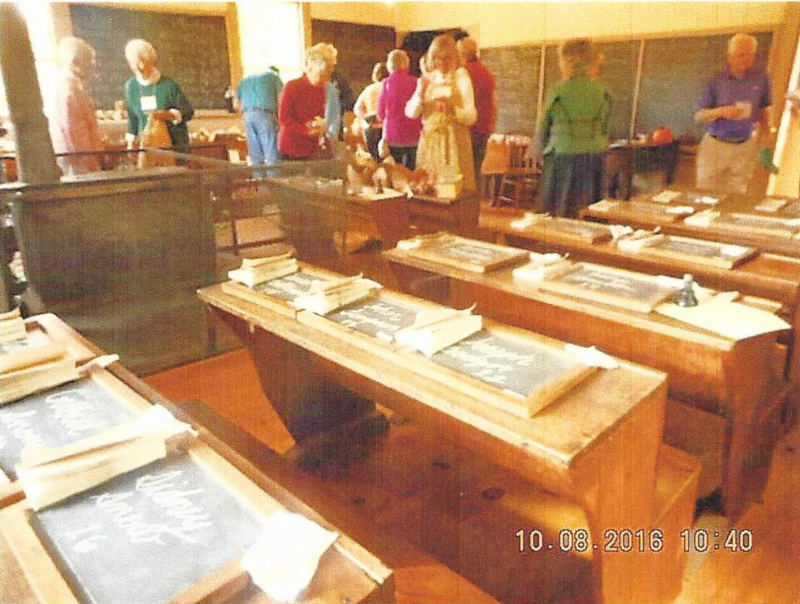 The AAUW and the Growstown School Committee has been organizing volunteers who since the mid-1980s have been providing a “Living History Center” for elementary school students to experience. For a full school day, fifth graders assume the real names of the mid-nineteenth century students who attended the school, and dress in 1850 period traditional clothing if they can. They are taught lesson assignments of the times by period dressed teachers, and the current day students use the period pens and pencils and sit at original bench desks joined together in triplicate. 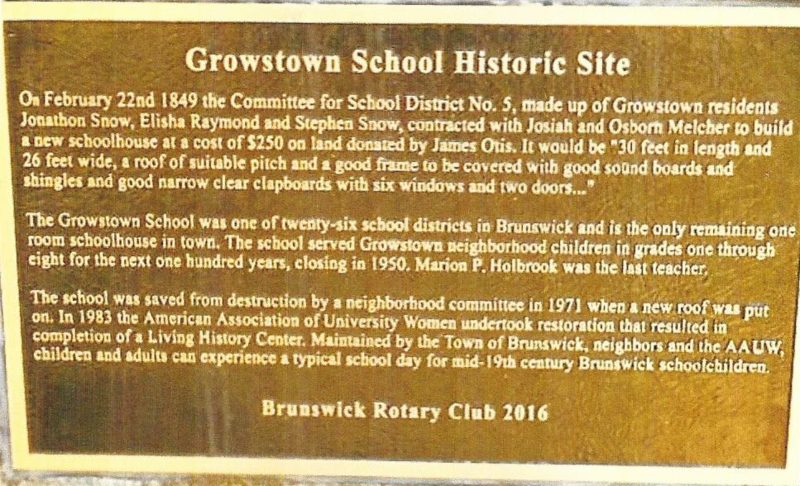 Growstown School is the 16th Historical Site recognized by the Brunswick Rotary Club since 1995 to contribute to the Pride and Heritage of the citizens of our local communities. Under the parent organization of Rotary International and established in 1925, the Brunswick Rotary Club is an organization of business and professional leaders united worldwide who provide humanitarian service, encourage high ethical standards in all vocations and help build good will and peace throughout the world.